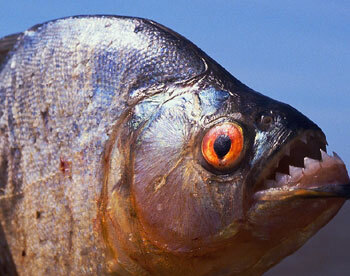 Piranha : You cannot eat them , Because they eat you ! Piranhas : Look at the first picture.They look like harmless creatures which can be kept as a decorative piece , isn’t it ? . But they are not. Look again , because they are highly dangerous omnivorous fishes . Read on to find out more about them…….. They are the most ferocious fish in the world. Even the most formidable fish, the sharks or the barracudas, usually attack things smaller than themselves. 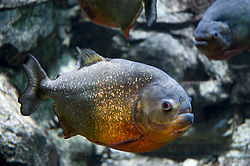 But the piranhas habitually attack things much larger than themselves. They will snap a finger off a hand incautiously trailed in the water; they mutilate swimmers—in every river town in Paraguay there are men who have been thus mutilated; they will rend and devour alive any wounded man or beast; for blood in the water excites them to madness. They will tear wounded wild fowl to pieces; and bite off the tails of big fish as they grow exhausted when fighting after being hooked. 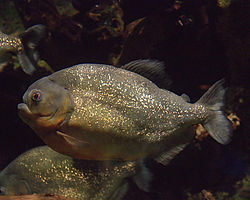 Piranhas attracted directors and they took several movies featuring them . It is shown on James Bond film You Only Live twice where a piece of meat is shown being fed to the Piranhas and after sometime only bones come up in the water. (Gross!!!). In another film Piranha 3 D this time potraying the incident as a underwater fault opening and allowing pre-historic piranha into a lake. We all know about the Atlantis the palm , which is a beach resort in Dubai. But this article is not about that. This article is about Atlantis : The lost world. As myths and legends have it, Atlantis is a fictional island first mentioned in Plato’s dialogues Timaeues and Critias written in c. 360 BC. 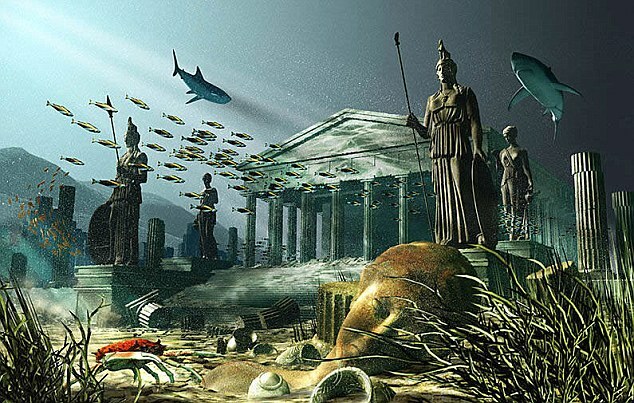 Despite ruling many parts of of Europe and Northern Africa , Atlantis suffered a crushing defeat by the ” Ancient Athens “. Atlantis inspires today’s light fiction, from science fiction to comic books to films. Its name has become a byword for any and all supposed advanced prehistoric lost civilizations. Some ancient writers viewed Atlantis as fiction while others believed it was real. The philosopher Crantor, a student of Plato’s student Xenocates , is often cited as an example of a writer who thought the story to be historical fact. This is a summary of the story told by Plato around 360 BC in his dialogues timaeus and criteas. These writings of Plato are the only specific known references to Atlantis. They have prompted controversy and debate for over two thousand years.